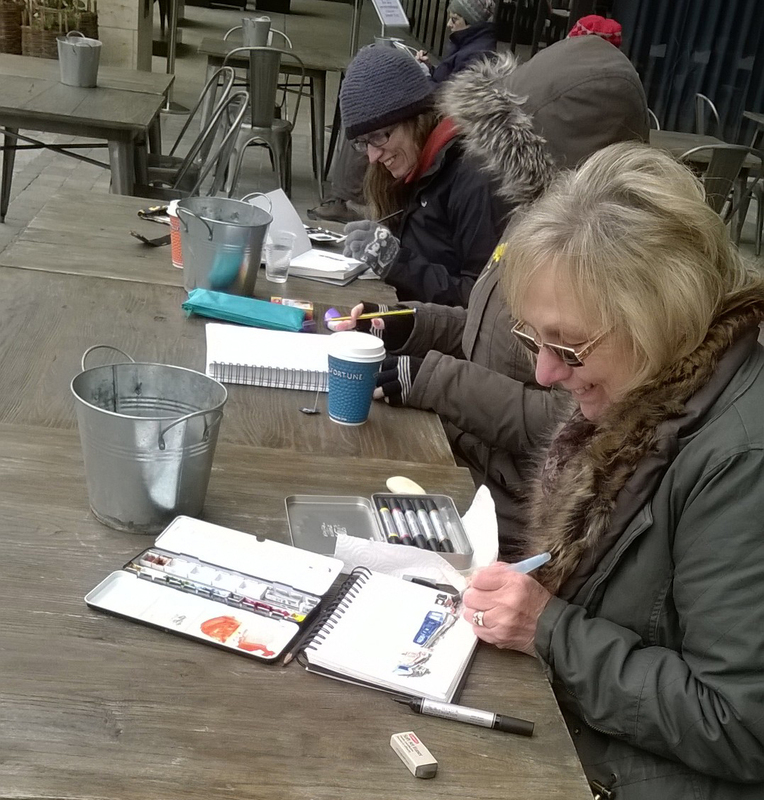 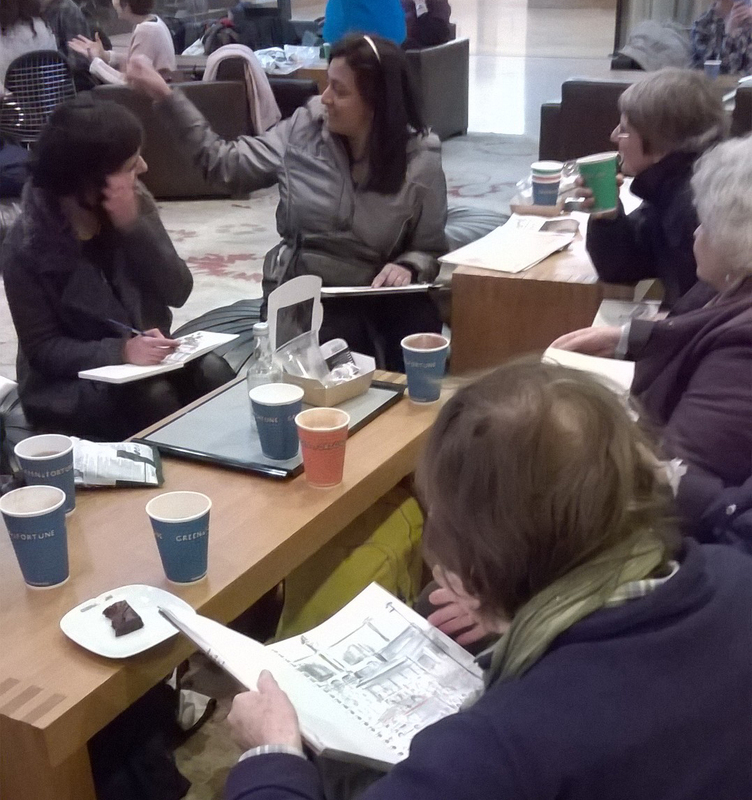 It was lovely to see such a great turnout on Saturday for this month’s sketchcrawl despite the rather grey day and chilly weather! The outside of the old station building, which now houses the St. Pancras Renaissance Hotel, proved a draw for lots of the group. 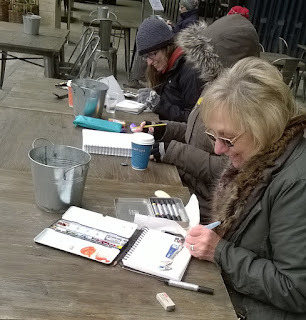 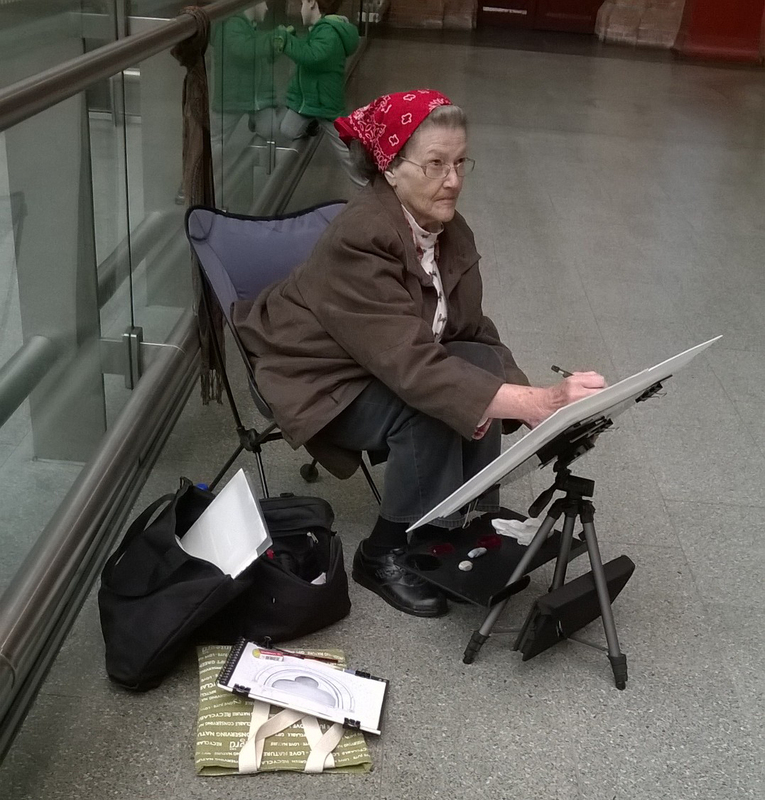 Others drew inside the station, although it wasn’t much warmer! 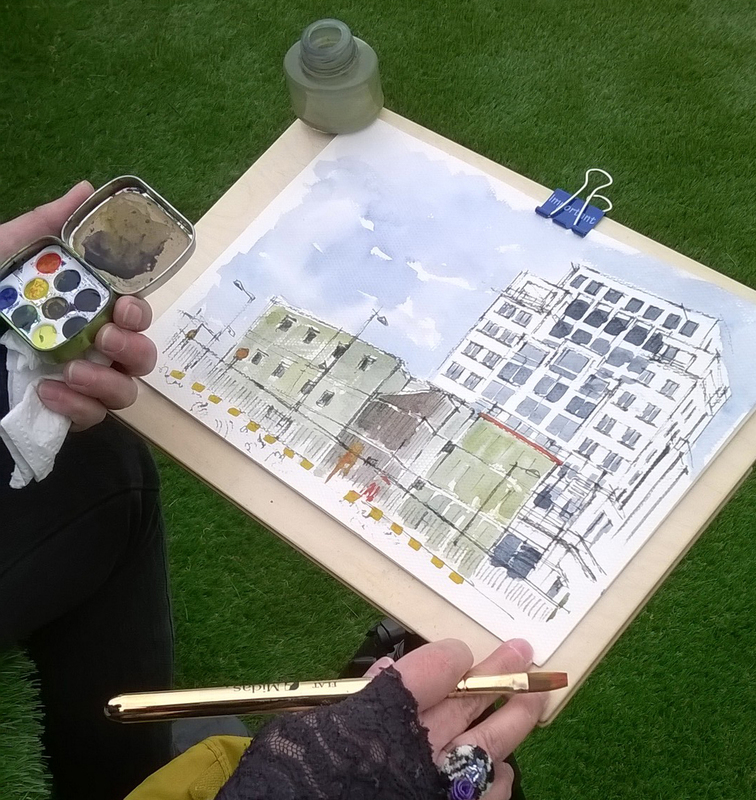 The lunchtime stop was in Granary Square and there was a chance to look at the work so far. The building work around Granary Square and boats on the canal proved popular subjects in the afternoon. 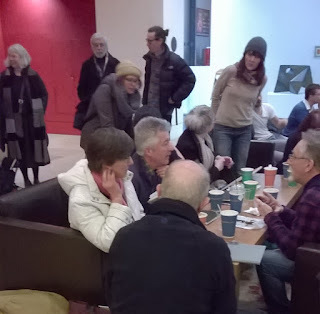 Although the plan was to meet on the terrace at Kings Place, it seemed more sensible to warm up in the café area inside. There was time to chat, get a hot drink and look at each other’s sketchbooks. 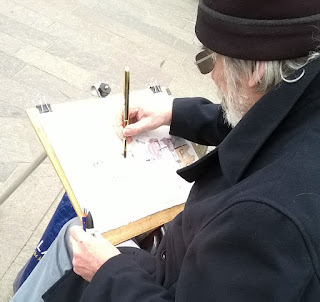 It wold be great to see your drawings. 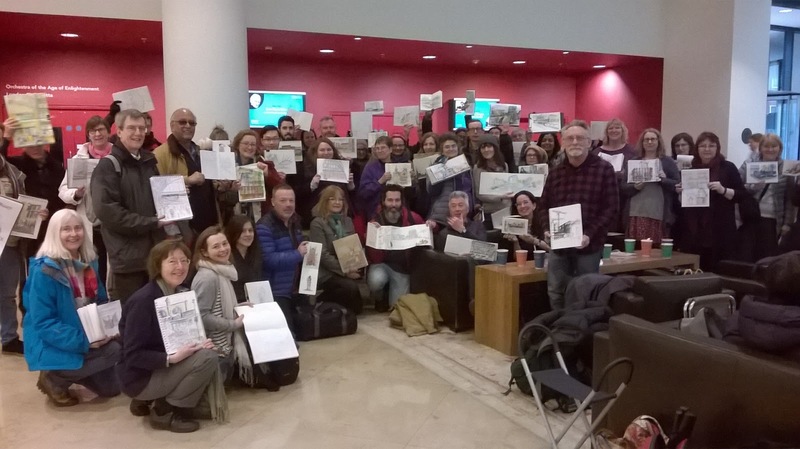 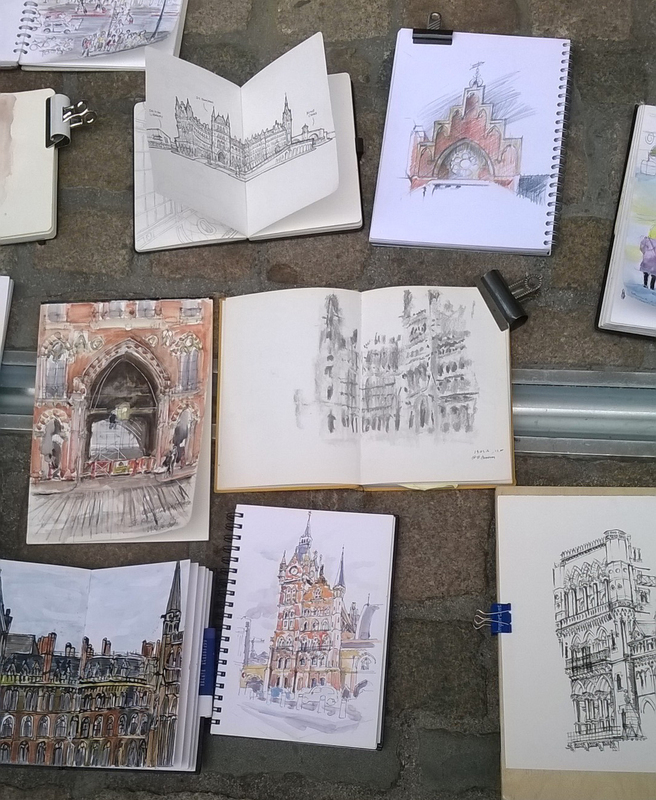 If you are on Flickr, you can apply to join the London Urban Sketchers Flickr page or those on Facebook can join the London Urban Sketchers Facebook page. If you are on Twitter or Instagram, use the hashtag #urbansketchers for your work to get seen and shared by others. 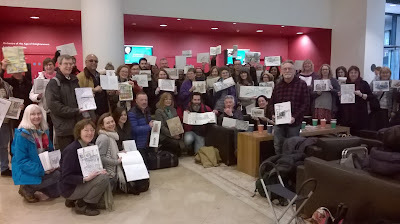 Thank you to everybody who came along and hope to see you all at the April outing to the area around the Royal Academy. 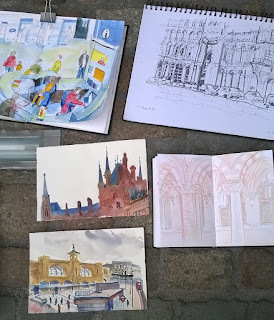 March’s sketchcrawl will be in and around the bustling St. Pancras/Kings Cross area of London. 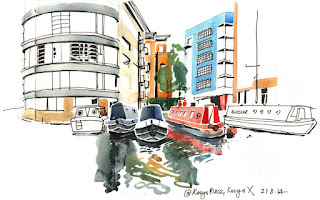 As well as the two stations themselves, with their mix of old and new architecture, there are a whole host of places nearby to draw - the historic Regent’s Canal with beautiful narrowboats, Granary Square with towering warehouses and shiny new Kings Place, a relatively new London cultural venue with a fabulous view of Battlebridge Basin, complete with houseboats and barges. 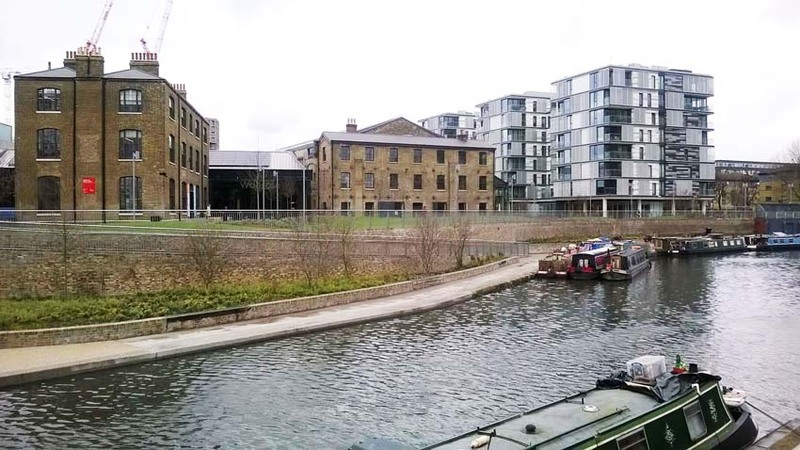 There is also a raised viewing platform overlooking Kings Cross Station which would make a great viewpoint for a panorama of the area. 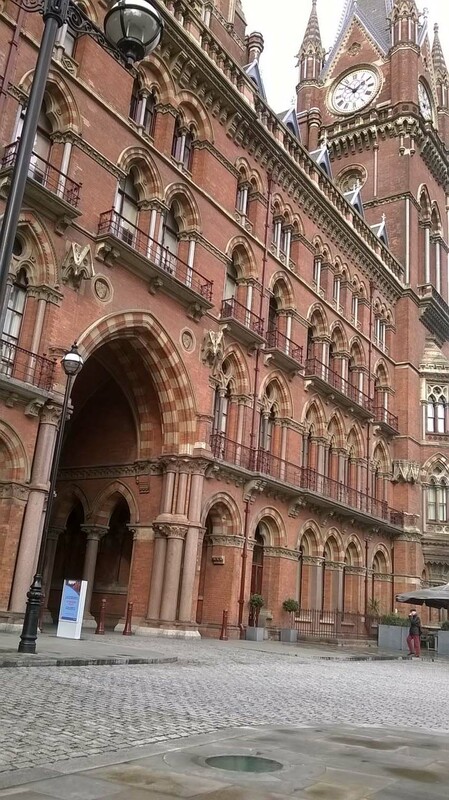 Meet at 11 am outside the old front entrance to St. Pancras Station. 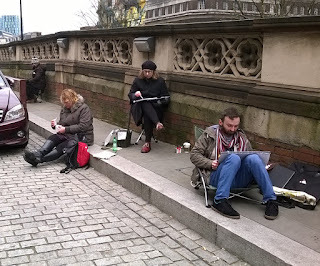 Meet up again at 1 pm outside the entrance to Central Saint Martins in Granary Square. A mixture of old and new architecture alongside the canal. Meet up at 3.30 pm on the back terrace at Kings Place to take a look at what everyone has been working on during the day. The view from the back terrace at Kings Place from my sketchbook. 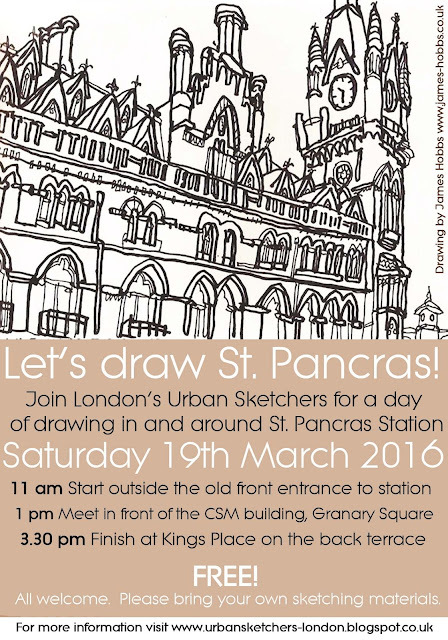 I hope to see you on March 19th!